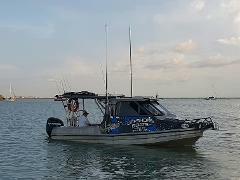 With a maximum of 5 guests onboard our smooth riding Stabicraft, our highly experienced guides will travel up to 80km on the bluewater from Darwin to some of the best fishing destinations in the Northern Territory. 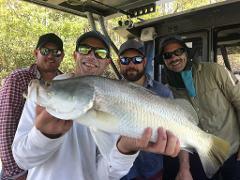 With a maximum of 5 guests aboard our smooth riding Stabicraft, we travel up to 80km on the bluewater from Darwin to some of the best, remote coastal creeks in the Norther Territory to target the elusive Saltwater Barramundi. 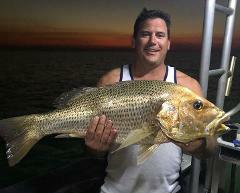 Our night fishing tours run from around 5pm to 10pm targeting reef species. With a maximum of 5 guests aboard our smooth riding Stabicraft, we travel up to 50km on the bluewater from Darwin to some of the best night fishing destinations. Our Private Billfish Charters are suitable for small groups of up to 5 guests. 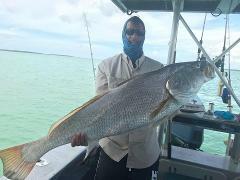 Our highly experienced local fishing guide will target Sailfish and Black Marlin offshore Dundee Beach. 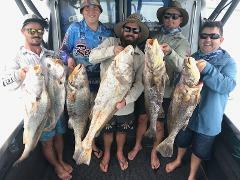 For an exclusive Top End reef and sport fishing experience for your small group between 1 and 5 guests, you will not be disappointed with our private charters.